Hi loves!! The Sun is out longer and the temperature is slowly increasing, on the East Coast. I’m ready for warmer days ahead and my skin to be kissed by the sun. Of course, the “safer way” without damage from the harmful rays. 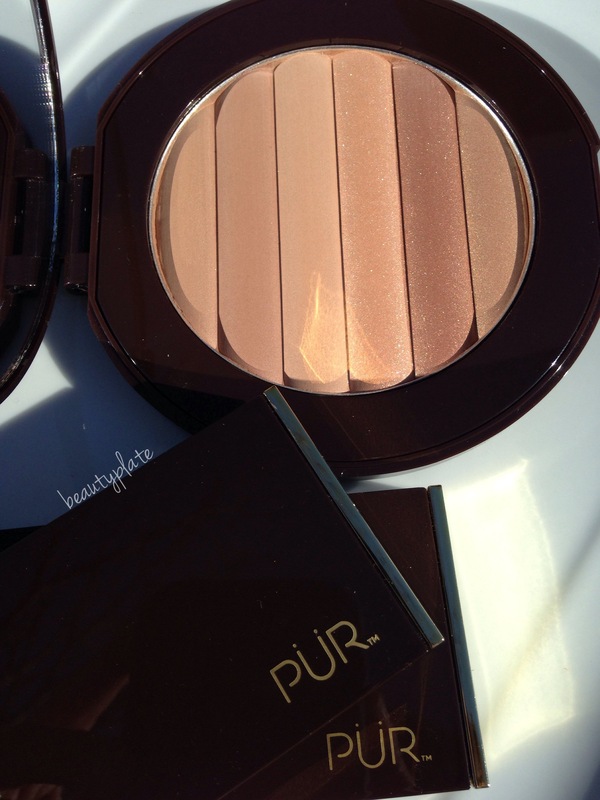 That’s why I’m excited to share a NEW beauty PÜR Cosmetics came out with. They released a few gorgeous Spring/summer pieces out, to help you achieve that bronzed, glowing goddess look. So let’s chat about the Glow Together Bronzer. Here’s a description about the bronzer from PÜR website. Glow Together is a naturally brilliant bronzer that mimics a sun-inspired contour to maintain a golden-hue all-year-long. With three matte and three shimmer shades, the blendable, jumbo palette is perfect for all skin tones whether you want to look like a bronzed goddess or just back from vacation. Give Back. Glow Forward. A portion of the proceeds from this purchase will be donated to Action Against Hunger, a global humanitarian organization committed to helping end hunger around the world. A portion of the proceeds are donated to Action Against Hunger, a global humanitarian organization committed to helping end hunger around the world. I love PÜR is a company that gives back. I hope you enjoy reading about this bronzer and run out and buy one. Beauty runs deeper than the skin. And charitable people are beautiful in my eyes. This compact is HUGE. Giving you .60 grams of product. This just comes in under the Estée Lauder Bronzed Godess Compact which is a whopping .74 grams. So if you are familiar with that Bronzer compact, then you get the idea how humongous this bronzer is. Well worth the money and will last you. The bronzer palette consists of 3 matte (left) and 3 shimmer strips(right). You can use a smaller brush and use the Matte alone or the Shimmer alone, but why make life difficult. Swirls those babies together! Here’s a video swatch of the bronzer. I WAS afraid that I wasn’t going to be able to use this palette. I have light skin and usually all bronzers leave me too dark or orange. 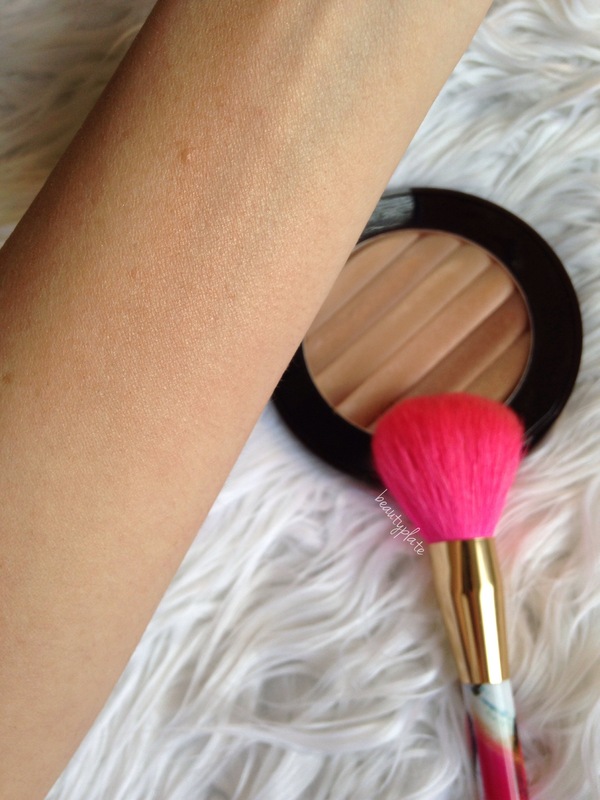 I am ESTATIC to say, this bronzer was a match made in heaven for me! It’s NEITHER too dark, or orange. It’s actually a PERFECT and NATURAL, yes NATURAL, looking tan on me! I didn’t have to use an extra-careful light hand with my brush. I feel you can deepen the color with a heavier hand or more applications, but one swipe, worked great for me. I did though, go in gently with the brush as it is finely milled and does kick up a bit of powder. Glow Together Jumbo Bronzer. It retails for $34 and can be found at ULTA stores and online, as well as at PURCosmetics.com. 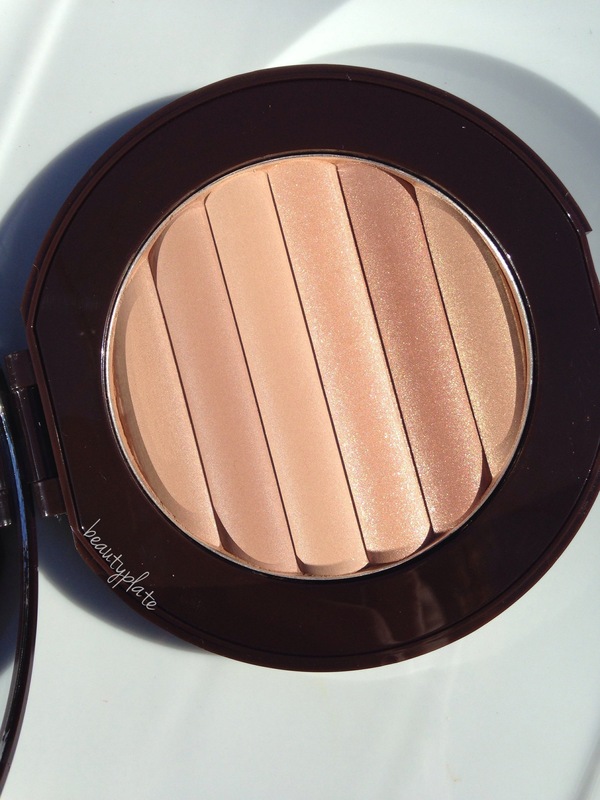 Are you a bronzed goddess?? Thanks love! Gorgeous is right! 😍It is! It’s a perfect mix of matte and shimmer! Perfect for a natural glowing look.